That’s the English translation of Notre Dame University’s Latin motto—vita, dulcedo, spes—as well as something a sorority girl would get tattooed on her wrist in Chinese characters. But alas, college football lasts only four months—five if your team is Bowl material. And when the season is over, it’s time to get clear of South Bend to see what else is out there beyond the blue and gold face paint. 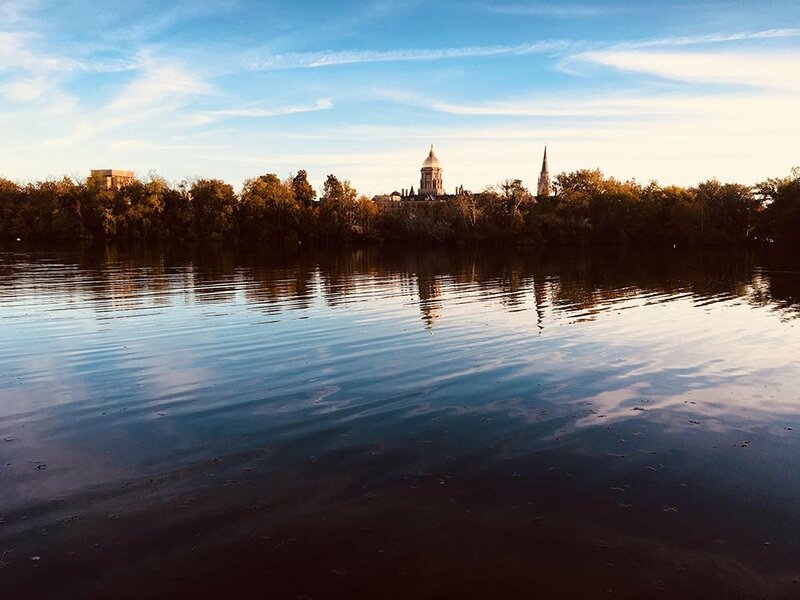 If you’ve spent all your coin on tailgates and Juul pods, fret not: we’ve created a list of everywhere you can travel from South Bend by bus or train for less than $50. If you don’t want to fill out another FAFSA to fund your next adventure, find college-friendly prices on all the routes above on Wanderu. Next, we spotlight 10 of our favorite cost-effective getaways. Let’s talk about Chicago—the Windy City, not Kim Kardashian’s 1-year-old. The wind isn’t the only thing that’ll sweep you off your feet in Chi-Town: Views from the 1,353-foot Willis Tower Skydeck will have you gazing over skyscrapers into adjacent states like Indiana, Wisconsin and Michigan. Millennium Park is also well-worth your time, home to the Cloud Gate sculpture (aka “The Bean”). Made from polished steel, its reflective surface will help you achieve that perfect mirror selfie. Chicago is the world’s top city for pizza, as dubbed by Conde Nast Traveler. You can’t go wrong with Pequod’s Pizza or Lou Malnati’s, both iconic for their deep-dish. Another Second City staple: The humble hot dog, done Chicago-style (sans ketchup, extra mustard) at iconic Gene & Jude’s. Believe it or not, the Cleve is rich with nature. (No really, it’s nicknamed Forest City.) First stop on the trail is the Black River Reservation, perfect for hikers of all skill levels. Alternatively, hiking at the Chapin Forest Reservation rewards you with panoramic views of downtown at the top, the perfect place to snap a shot for all your Instagram followers (#nofilter). It may seem like a strange combo, but “donut bars” are a Cleveland staple—like seriously, a bar that also makes donuts: Browse the tap list and delectable dessert offerings at Brewnuts. If you’re under 21, Cleveland still has you covered with an array of mouth-watering brunch spots, like Lucky’s Cafe. Columbus gets its name from Christopher Columbus, the infamous explorer, but that shouldn’t taint your view of this central–Ohio city. What should taint it: Ohio State is here. But try to tune out the Buckeyes and focus on the capital’s other excellent offerings, like the restaurants, shops and galleries in the Short North. Wake up and smell the roses. Sure, that’s a cliche saying, but you can literally wake up and visit the Columbus Park of Roses, with more than 13 acres of blooming flowers to sniff at your leisure. Or, in the mood for some spooky fun? Enter the Gates of Hell at your own risk, a graffiti-covered tunnel behind a Tim Horton’s—or dare your friend to do so. Sure, Pennywise may be at the end, but you won’t know until you see it for yourself. Take a pit stop in Indianapolis and have yourself a big ol’ sip of milk. As per tradition, victors of the Indy 500 take a celebratory drink of milk. For cyclers, Indianapolis is an excellent destination to hit the pavement—the Indianapolis Cultural Trail is a unique eight-mile stretch that connects all six of the city’s cultural districts. Home of the Hawkeyes, Iowa City is an underrated destination. English majors and other bibliophiles must make a pilgrimage to the University of Iowa, where the famed Iowa Writer’s Workshop has produced 46 Pulitzer Prize winners, including Philip Roth and John Cheever. Off campus, Lake Macbride State Park is a romantic setting for a picnic, or to dip your toes in the water. Rent a canoe or kayak, or lounge back on a blanket with a good book in hand. In terms of dining options, a burger and milkshake at Hamburger Inn #2 will put you in a well-deserved food coma, as it has for past famous customers like Bill Clinton and Ronald Reagan. The award-winning greasy spoon is perfect for some good food with a side dish of history. Fort Wayne was named after “Mad” Anthony Wayne, a general in the Revolutionary War known for his fierce personality. Today, sleepy Fort Wayne doesn’t reflect its fiery founding father, and is instead an ideal locale for a lazy weekend getaway. Tucked along the St. Mary’s River, Headwater Park is the perfect place for you and your S.O. to stretch your legs. Poor weather? Check out the Foellinger-Freimann Botanical Conservatory instead, with indoor tropical, desert and seasonal showcase gardens. Follow up your nature walk with a $1.50 wiener from Fort Wayne’s Famous Coney Island, which opened in 1913 and claims to be the oldest coney stand in the U.S.
Kalamazoo may sound like an Australian curse word, but it’s actually a great little getaway from South Bend. The Kalamazoo Mall is a brick-paved outdoor pedestrian mall rife with shops and cafés—stop at the Artisan Sandwich Co. for an angus roast beef and cheese for lunch. And it doesn’t need to be Valentine’s Day to sample some chocolate. Confections with Convictions has you covered with their innovative truffles: Try the curry flavor, or maybe blackberry and chili. If chocolates aren’t your bag, then satisfy your sweet tooth at any hour of the day with Sweet Waters Donut Mill, a 24-hour donut shop. 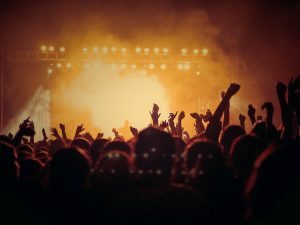 Otherwise, if you’re more of a night owl, then party like Jay at The Gatsby dance club—the perfect place to kick your shoes off and boogie the night away. “I love Wisconsin!” Those were the words screamed at the end of the theme song for the hit TV sitcom “That 70’s Show,” and after a day in Milwaukee you might just be shouting it as well. Visit three different temperate regions for the price of one: Explore The Domes at the Mitchell Park Horticultural Conservatory, where you can find peace in the Desert Dome, wander through the floral gardens of the Show Dome, or even trek through the rainforest in the Tropical Dome. Then lace your bowling shoes and head to Holler House where, hidden in the basement of a bar, you’ll find the oldest bowling alley in the U.S.
Milwaukee may be known for beer—brewery tours abound—but don’t leave town before trying an infamous Blood Mary from County Clare Irish Pub & Restaurant, which comes topped with a pickled potato. The minute you get to Madison, brie our guest and stop at the Tipsy Cow for deep fried cheese curds, a native Wisconsin favorite. Next, walk it off with a stroll down State Street, home to many locally owned shops, restaurants and art galleries. If you’ve recovered from the curds, drop in to Teddywedgers and try their famous stuffed pasty. OK, time for a temporary break from food. Options include the Warner Park Duck Pond, home of collegiate summer baseball team the Madison Mallards, or venture into the Olbrich Botanical Gardens, which will leave you feeling serene and at ease. End your adventure at the Dane County Farmers Market, the largest producers-only farmer’s market in the country. Even if you’re still stuffed, grab some fresh produce, meat, or even handcrafted jewelry to take home. There’s no greater feeling than a day in the sand, so sink in your toes and enjoy St. Joseph’s Silver Beach. Following some fun in the sun, head to Silver Beach Carousel and let out your playful side. Then add even more light to your day and take a tour of St. Joe Lighthouse for a stunning view of the North Pier. A romantic stroll through the vineyards of Hickory Creek Winery is in order, where you can enjoy $5 samples of any five wines you would like. Afterward, a picnic in the park with some grab-and-go sandwiches and pastries from bread+bar are the perfect reward for a day of outdoor activities. 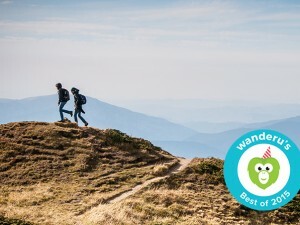 Whether you’re on the lookout for an awesome adventure with your crew, or a tranquil weekend for you and your partner, Wanderu can take you from South Bend to wherever you’d like to go. Use our Explore search tool to discover even more affordable destinations: Simply plug in a location of origin, a date and a price and we’ll spin up results that fit your timeline and budget. Chidera loves to spend her time exploring the beauty that this world has to offer. Whether she is eating her way through the cities top resteraunts or shopping the latest New York Fashion Week trends. Chidera goes wherever the next adventure takes her or where the next best meal is. 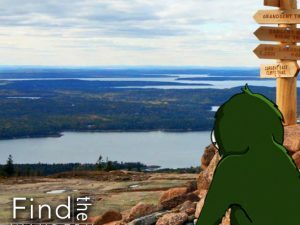 Find the Wanderu In You at Acadia National Park This Summer!